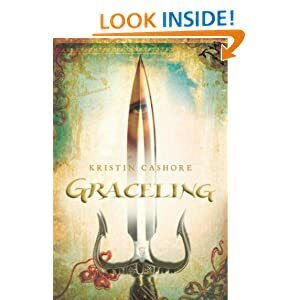 Today Amazon offer you to buy Graceling written by Kristin Cashore for $0.99. Gift Shopper Pro is application for your Kindle Fire. Only today you can get this application for free. ‘Tis better to give than receive–and ’tis better to tackle your holiday shopping with Gift Shopper Pro than without. Track everyone on your Naughty and Nice lists and make sure you don’t leave anybody out with this helpful app for your Android device. Shopping for presents can be a chaotic process, especially during the holidays, but Gift Shopper Pro is here to help ease the insanity. With this app you can create detailed, customized shopping lists that take the pain and disorganization out of gift giving. The last thing you need when trying to get a handle on your holiday shopping is complexity and confusion. 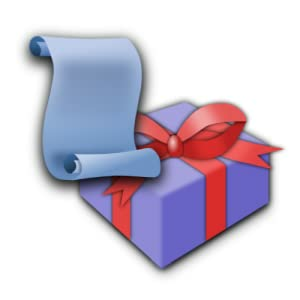 Thankfully, Gift Shopper Pro is simple and intuitive. There are three main ways of organizing your shopping: People, Shopping List, and Occasions. In People view, simply create a list of individuals you need to shop for by entering their names or pulling them from your Contacts list. Each person has their own record in the app, where you can enter their birthday, anniversary, likes and dislikes, clothing sizes, and any other notes you might want to add. In Shopping List view, the app allows you to create entries for all the gifts you need to purchase. For each gift you can fill in the recipient, occasion, price, store name, and other information. As you buy the items on your list you can check them off right in the app. There’s even a field to note if the gift has been wrapped or not. Under the Occasions tab view, you can list major gift-giving occurrences (birthdays, anniversaries) and holidays (Christmas, Valentine’s Day, Mother’s Day, etc.). One click shows, for example, a list of birthdays for all your friends and family. There’s even a feature noting how many shopping days you have left until the big day is here. An even easier way to create your gift list in Gift Shopper Pro is by scanning bar codes for the items you want to purchase. This automatically creates a record in your list that you can then assign to a person or occasion. Keep your list away from prying eyes by setting up customized password protection. If you do want to share your list with helpers, you can e-mail or text it right from the app. Use Gift Shopper Pro to ensure that no one in your life ends up with an empty stocking over the fireplace.